The Emergency Medicine Residents Association (EMRA) Antibiotics Guide is a popular pocket reference for emergency clinicians, now with a text in its 15th edition and iOS App in version 1.2.
iMedicalApps reviewed this app back in 2010, and we return with an updated review. 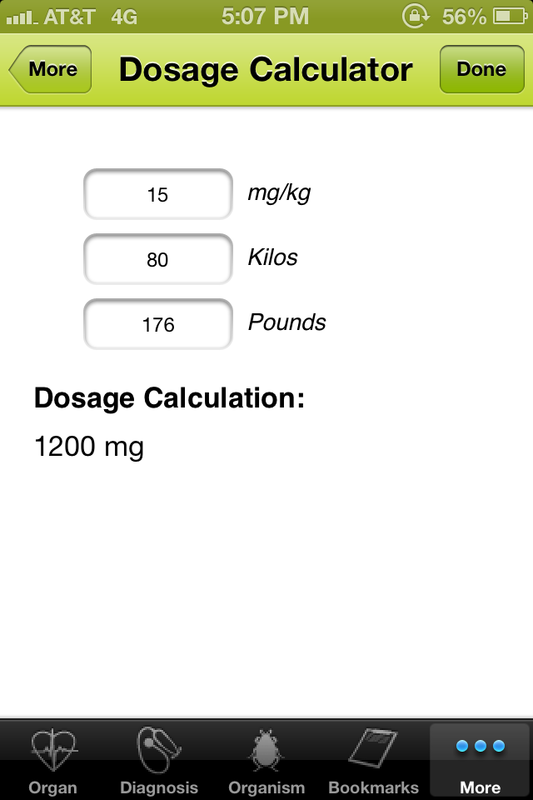 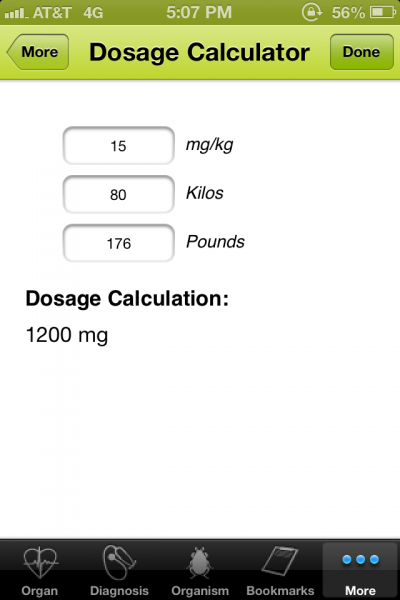 Additions to this version of the app include an antibiogram, antibiotics details, a dosing calculator, bookmarks, and notes. To evaluate how well the EMRA Antibiotic Guide iOS app helps physicians choose appropriate antibiotic therapy for patients in the Emergency Department. 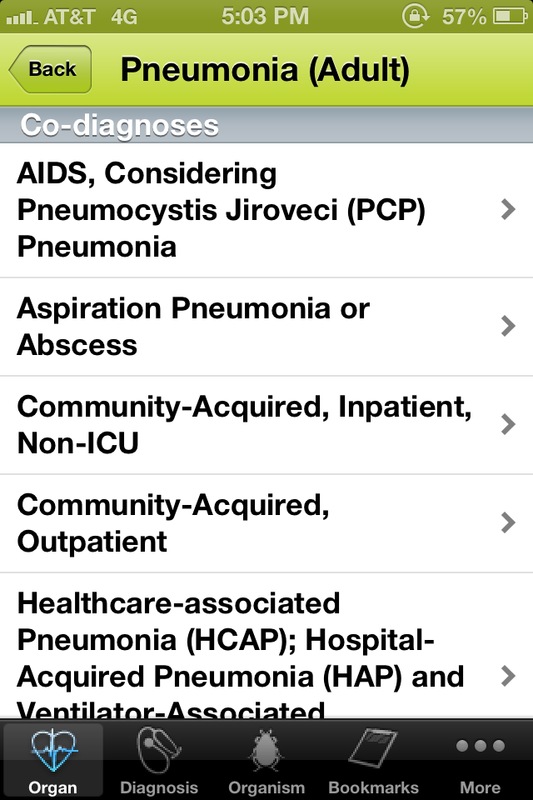 This app excels at providing straightforward guidance on appropriate therapy for specific diagnoses. 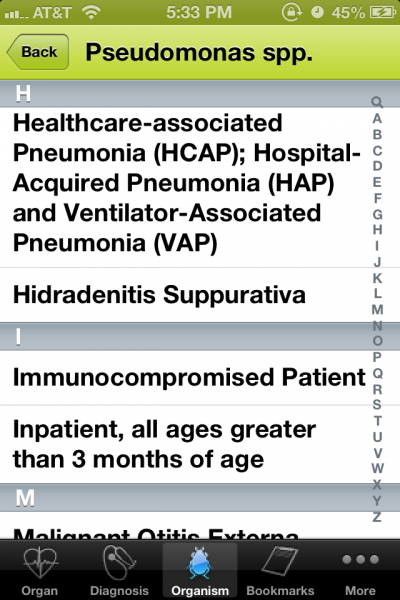 For example, pneumonia is a common diagnosis with a complex set of antimicrobial guidelines depending on patient characteristics. 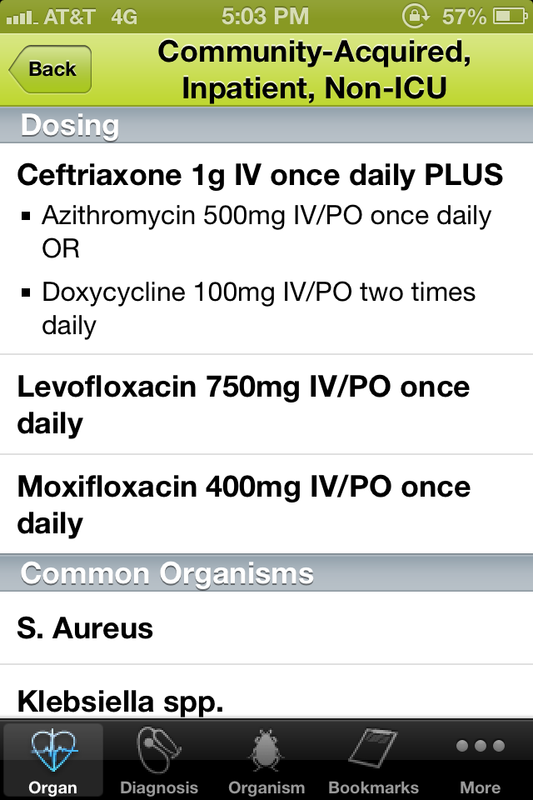 Helpful treatment recommendations with relevant clinical pearls can be found through the organ systems or diagnosis menus. Additional information is indexed by organism. For example, searching Psuedomonas links to a list of associated diagnoses, including Ventilator Associated Pneumonia. 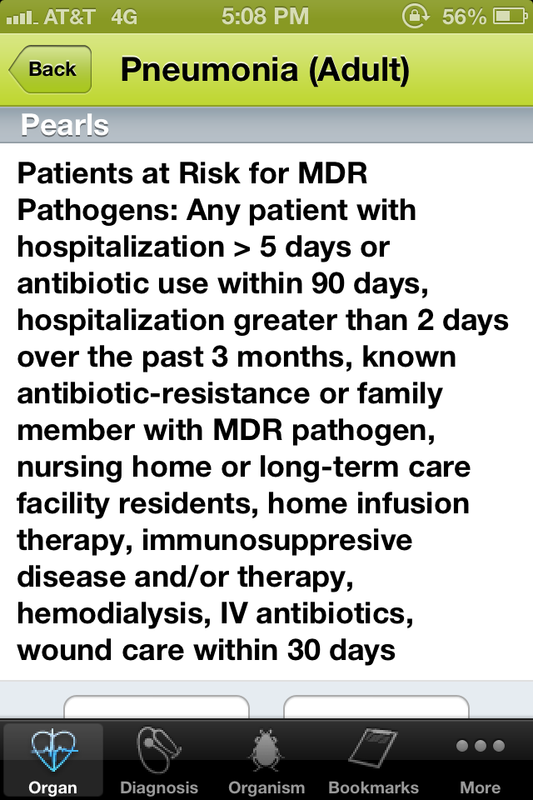 This contains a information on VAP treatment regimens that cover Pseudomonas. 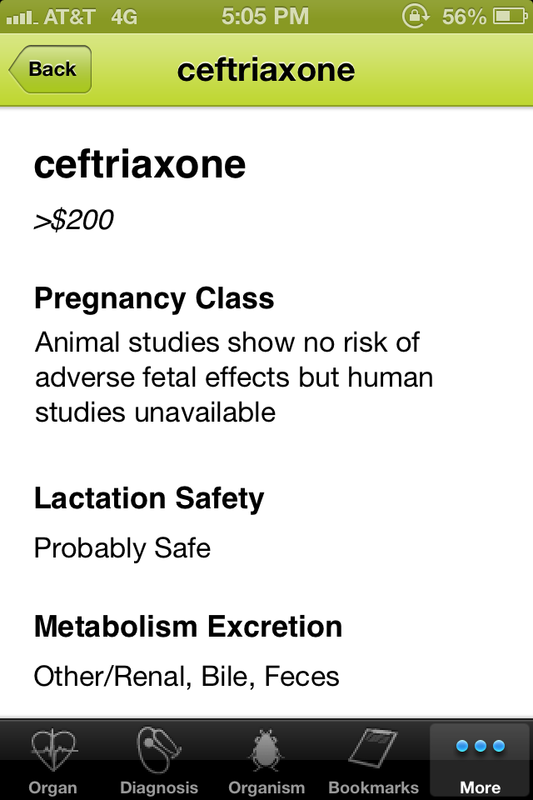 Our last review on this app focused on the limitations of the search feature and the lack of several essential components included in the book. 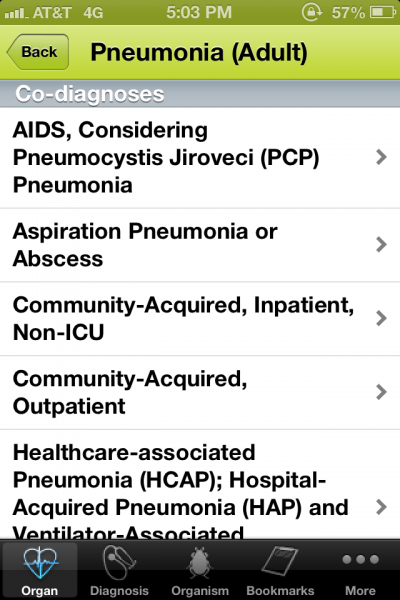 The search feature is still limited by menu (search “pneumonia” under organ systems, and you’ll get no results), but this is relatively intuitive and not particularly limiting in practice. 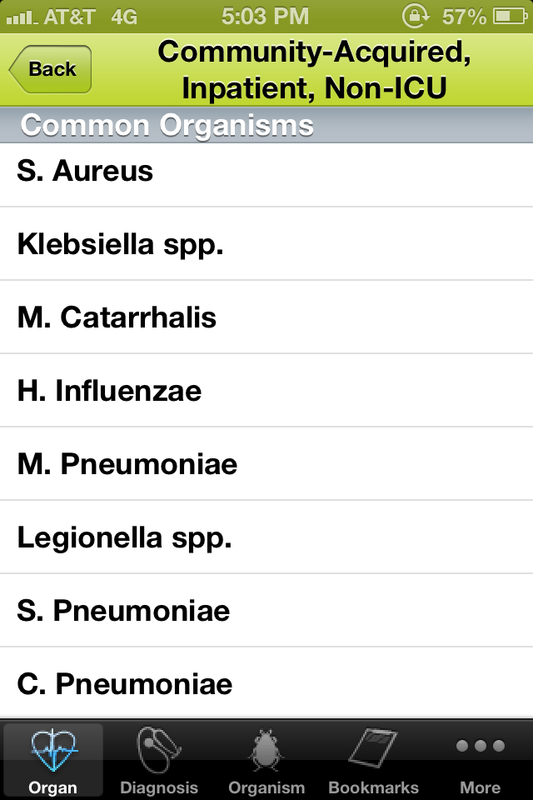 The newest version of the app does incorporate the Antibiogram from the book. 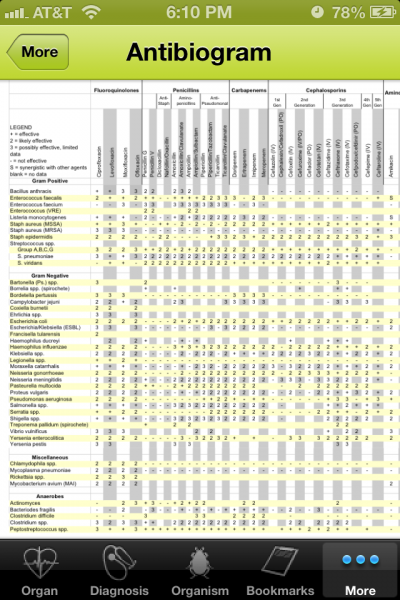 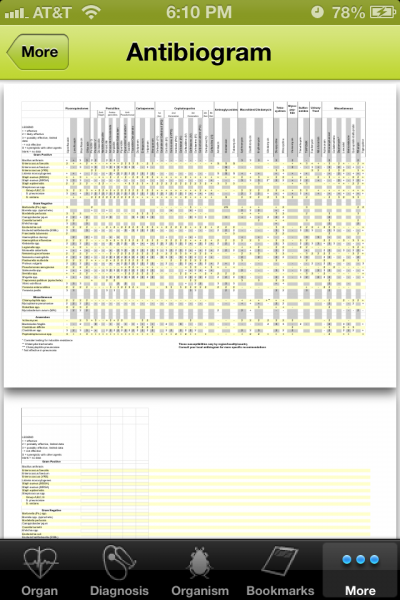 Unfortunately, it is presented as a complex table in a PDF format with small text. When zoomed to a reasonable size for reading, very few organisms and agents lineup in the same screen. 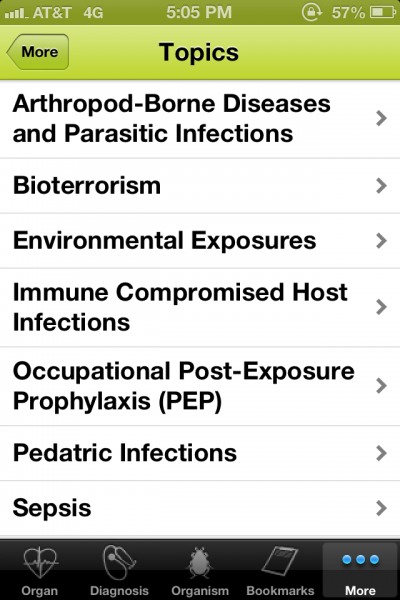 Further additions include a dosing calculator, drug information, and special topics from bioterrorism to sepsis, with recommended regimens based on presumed infectious source. 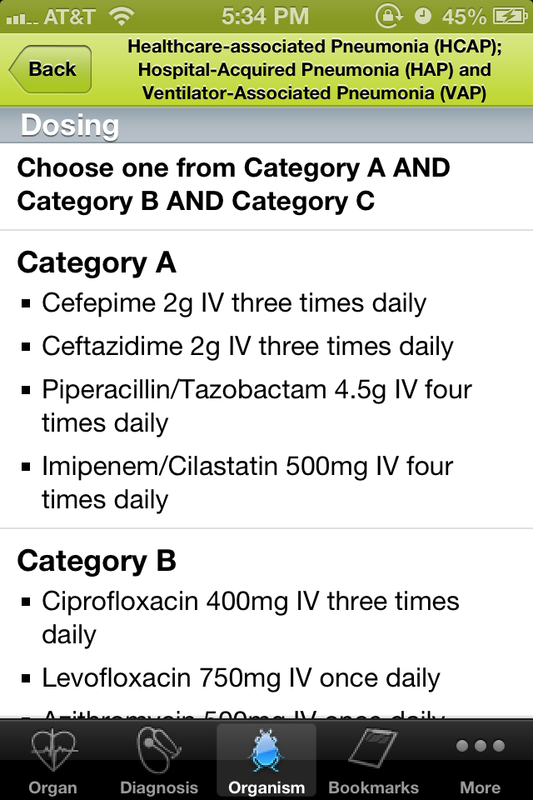 The EMRA Antibiotic guide is a high yield clinical resource. The iOS App contains a wealth of information; however, it does not take advantage of the mobile platform and instead offers a simple reproduction of the text. 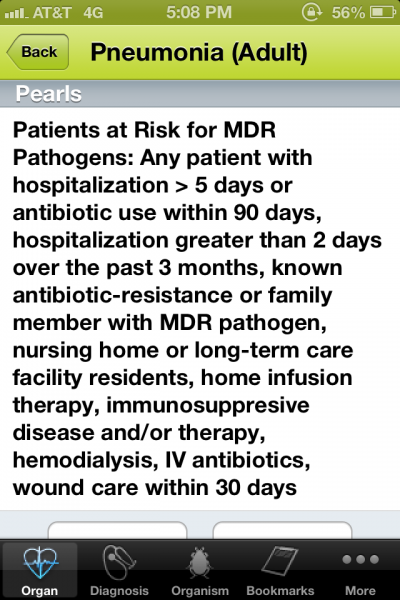 Regardless, this is a text that I want in my pocket in the Emergency Department, and I’m glad to have it readily accessible on my iPhone. 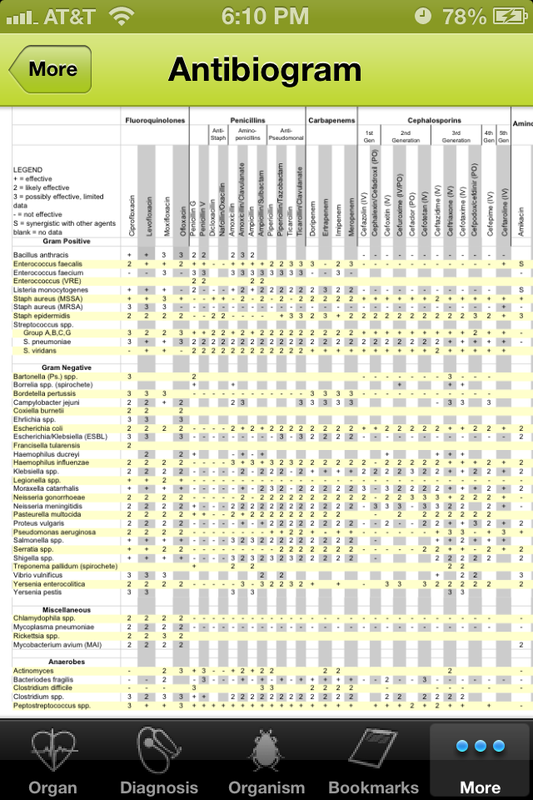 Real world applicability – 5 Useful on a daily basis.